We love cool, kickass initiatives that make our inner decor loving, Pinterest obsessed sides happy! And if you’re an art lover, this will definitely get you to paint the town red. The Art Collective is giving all of us a unique opportunity to experience, savour and enjoy artistic pieces for a trial period of 30 days, for no charge at all. 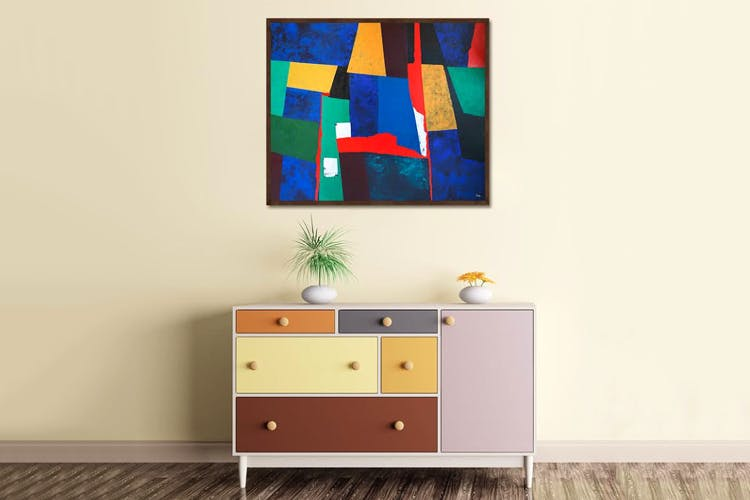 Decorate and upgrade your cozy nook with museum quality artworks and art installations – and if you love them just as much as you did at first sight, then you can buy and add them to your permanent collection. And if you can’t commit to the art in the first 30 days, return it to the good folks at Art Collective and look for more decor options. This is ideal for the commitment phobic art-lover, who loves gorgeous, stunning pieces and wants to see how they can integrate it in their home, in their own personal budget. Feel like royalty and upgrade your house with their collection of Giclee Prints on canvas. These archival prints are manufactured using state of the art printers and are licensed artworks that look similar to original artwork. The best part? All artwork is fade resistant and have a lifetime guarantee. Featuring prominent Indian artists like JMS Mani, Somenath Maity, Bhaskar Rao among others, support our indie artists with this initiative. This is a limited offer for the first 250 customers, and is perfect for those who appreciate art and want to give their house an impressive makeover. Find out more here and go book your artistic piece now! Register below for a free 30-day trial of these gorgeous artworks! Drop by the studio in Sadashivanagar or call on +91 9741720001 for an appointment. Find out more about Art Collective on their website. Follow them on Facebook, Instagram and Twitter for exciting updates and information.